The Westminster Confession of Faith has, for hundreds of years, served as the doctrinal foundation of the Reformed churches. In this series, Dr. John Gerstner focuses his lifetime of scholarship on a comprehensive treatment of the meaning and application of this important confession for the life of the church. 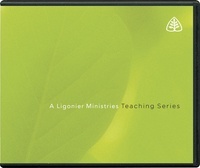 This is an exceptional series for pastors and church leaders.